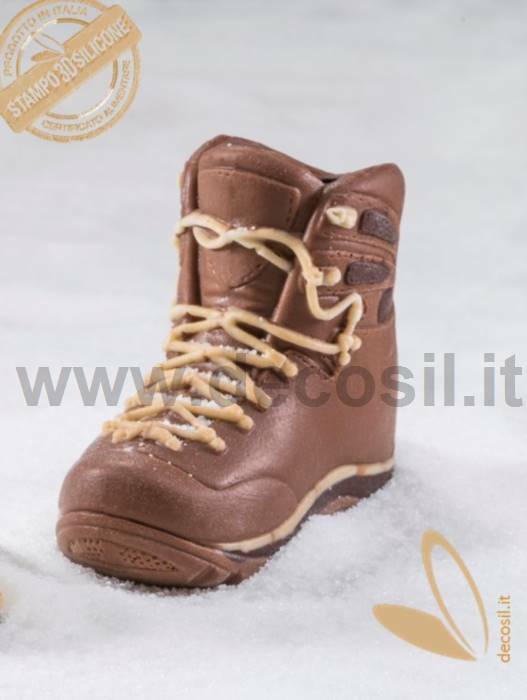 Snowboard Boot mould - Snowboard-Boot-shaped mould for molding chocolate in silicone mould. Snowboard Boot mouldSnowboard Boot mould - Snowboard-Boot-shaped mould for molding chocolate in silicone mould. Mold Weligton: approx 0,350 kg. Object weight made of chocolate: about 86 g.